Sauté potatoes in 1 Tb olive oil on medium heat until tender - about 10-15 mins. Stir frequently to prevent sticking. Beat eggs with 1 Tsp salt in a separate bowl and set aside. Once the potatoes are soft transfer to a bowl. Sauté the onions and spinach for about 5 mins. and add this mixture to the eggs. 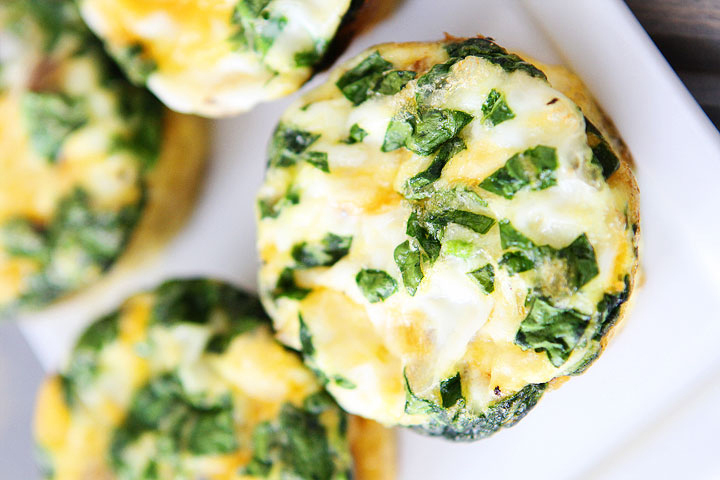 Fill muffin pan with egg and veggie mixture almost to the top & bake 8-10 minutes.